Wad - Brilliant, could not believe insurance for this, with everything I wanted. 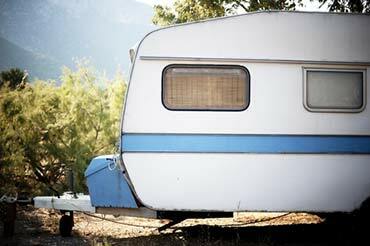 Compare Caravan Insurance allows you to browse policies from over 20 quality insurers. Through years of experience, we have sourced some of the finest touring caravan, static caravan and park home insurance cover available. Whatever your particular caravan passion, we have a solution for you. All of our policies are tailored to meet your individual requirements, offering generous cover at affordable prices. With our user-friendly site, it's easy to obtain a quote for your caravan. All you have to do is enter your details into one simple form and you'll have access to a range of quotes from a panel of leading UK insurers. These quotes are real - unlike the estimations provided on many other sites. We provide touring caravan, static caravan and park home insurance policies from major UK insurers. This includes notable companies such as IGI, Towergate Bakers and Ageas. Our online quotation system clearly lists all of your options, allowing you to receive the most competitive cover. You can be assured that our policies will help you in the event of a claim. Plus our fully trained, UK call centre staff are more than happy to help with any queries you have regarding your insurance; so you, your friends and your family can enjoy your caravanning time to the full. Check out our latest live customer reviews where other caravanners tell us what they really think. Quick and easy to log on and get quote. So simple. I did mine on Sunday Morning. Great! I thought I had a very good priced policy for my caravan, just thought I would compare prices. New policy is almost half price of old one and better cover, thanks.